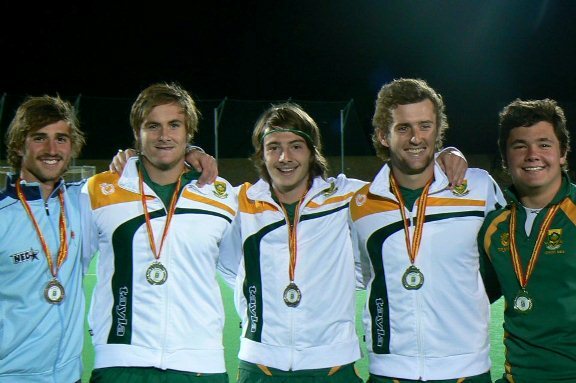 All Things Jabu’s Bianca got her hands on some more of South Africa’s best Hockey players – Grant Glutz and Ross Gonsalves. It’s not all too often that you get to play sport at a top level nevermind for your country alongside your best friend. Two such lucky lads are Grant Glutz and Ross Gonsalves. Genuinely two of the nicest guys I’ve had the pleasure of dealing with. Guys thank you for being willing to chat to us. Where and when did you 2 first cross paths and decide, “Hey this guy is alright. He can stick around!”? Grant: I think it was when we were in grade 9, at a hockey clinic. 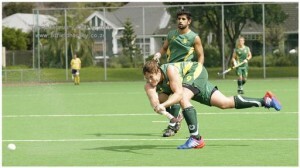 Ross: Well we first crossed paths in grade 7, but I didn’t really like him because he scored against my team. But meeting him properly and getting to know him a bit better in grade 9 made me realise what a good guy he is. Ross! Good to see you went for the mature approach! Funny how many good friendships start out with those very wrong first impressions though? So who tends to score more goals? Grant: I’m going to have to say I do. Ross: Wish I could say me, but definitely Grant, top quality striker he is! I should get a bit of credit for setting them up. We should definitely look at some sort of stat to see how many of the goals the strikers score, are due to the hard yards the midfielders put in, but anyways! What positions do you guys play? You’re both studying at Tuks at the moment. Are you guys studying the same courses? 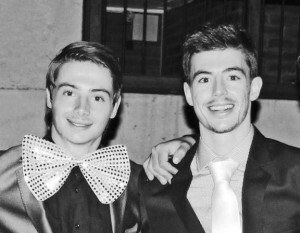 Grant: No, I’m studying a BCom in Supply Chain Management, but we are in the same faculty. Ross: Like Grant said, not the same degree, but same faculty. I’m studying a BCom in Marketing Management. 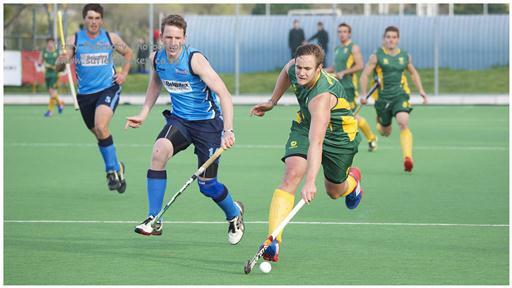 Both of you have competed at USSA, U21 IPT, SA U21 training camps, the World Student Games in Russia and the Senior Men’s IPT this year alone. How are you able to find a happy medium between studies & hockey? Are your lecturers and the university generally quite accommodating? Grant: well we only train at night and varsity is during the day. When we are away on tour, the Varsity is normally quite accommodating, as they gives us other opportunities to make up what we have missed, but sometimes it can get quite stressful. Ross: Obviously its tough, but we have to find a good balance between studies and the constant hockey tournaments. Our university is big on sport, so they allow us to fulfill our sporting dreams and provide us with alternative tests and assignments when we back. Genuinely very admirable I have to admit! It’s hard enough to study without the crazy schedules you guys have to compete with too! To represent SA at any level must be pretty special. Does it make any difference to do so with your best friend or is it more about focusing on yourself & your moment? Grant: Yes, of course it makes a difference to play alongside your good mate. Specifically when we’re off the field actually. Ross: Yeah, it’s a great feeling playing for the national teams we have played for, and having Grant by my side is motivating. We have good laughs, and great banter. Grant, what’s it like to be one of the youngest (currently the youngest) players to take to the turf for the senior SA Men’s side? Grant: It has been one of the greatest honors I have ever experienced, and a memory that I will never forget. Well, I hope and have no doubt that there will be many more caps to follow. Ross, you’ve recently been brought up into the greater (top 40) senior squad and your brother Nick plays for the senior SA Men’s side. Would I be correct in saying that being included into the main senior squad is something you’re aiming for? And of course to play alongside your brother? 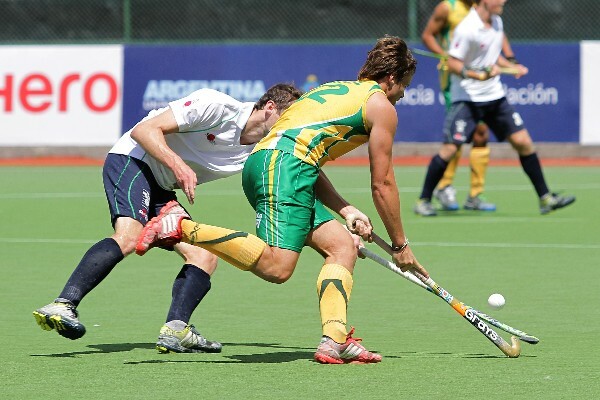 Ross: Playing for the senior SA Mens side alongside my brother is definitely my ultimate goal, it always has been. I’d love to represent the country at the highest level, but more importantly doing so with my brother would simply be incredible. 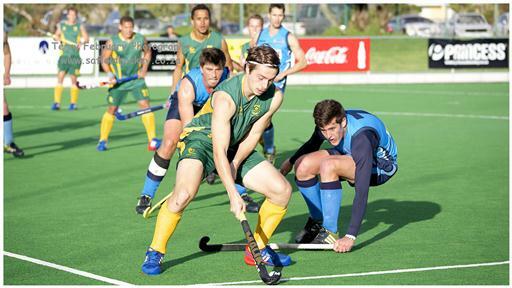 Slightly belated, but a massive congratulations to you both for being included in the SA U21 side that will be heading to New Delhi India, in December to compete at the Junior World Cup. Are you guys excited, nervous, not fazed?? Grant: At the moment I am very excited and cannot wait to get there, but I’m sure as we get closer to the tournament the nerves will start to kick in. Ross: Definitely excited, but very nervous too. Closer to the time things will start getting hectic, that’s when we need to get our minds right. Mentally, how do you prepare for a tournament of this nature, and previously for a tournament like the Student Games in Russia? Ross: Well, firstly training really hard, getting fit and making sure all our technical skills are covered thoroughly so that we can at least go with a bit of peace of mind, knowing that physically and technically we’re as prepared as we can be. That is the start to getting mentally prepared, after that, just covering all tactical bases with and without the team will sort it out! And on that note, from a team point of view, how does one prepare for these huge tournaments? How tough is it not being able to regularly train as a team? Grant: We hardly ever get to train as a full team, due to lack of funds. That on its own makes it even harder to compete and do well. That is also why our individual prep is so important. Ross: Like Grant said, there’s a lack of funds so there’s no use crying over stuff we can’t control, we have to just utilise the time we do have together and make sure we prepare as much as we can under the circumstances. Sadly, that is the story of men’s hockey in SA throughout the various age groups. Passion certainly seems to be a common tune throughout as well, which is what keeps our countries men performing the way you all do. 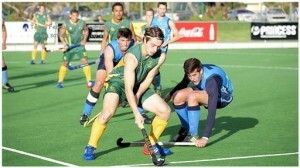 Speaking of passion, what has been your highlight of playing for the SA U21 team? Grant: Probably winning the U21AFCON (African Cup of Nations) last year and having such a good team vibe in the side. Ross: Definitely winning AFCON last year. It was a great tournament and I made so many new friendships in the process. 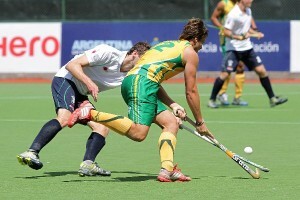 Any really embarrassing or awkward moments you could have done without having to go through on the hockey pitch? 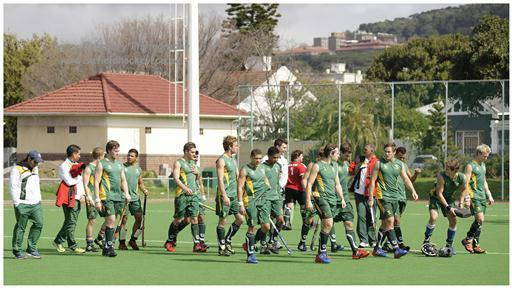 Grant: Training with the SA U21 team last year, we had quite a crowd of schoolboys watching us train. Matthew Guise-Brown and I started wrestling as training ended. We were rumbling right in front of the school boys and all of them starting shouting and screaming thinking we were fighting. Haha! But obviously I was the winner in the end, so it was all good! (Face palm!) Great example for the youngsters… however I am glad that you think you managed to come out winning! Ross: Well not really embarrassing, but I left the balls at our hotel for one of our training sessions. So I had to go fetch them and while I was gone, the rest of the team did fitness until I got back. To make things worse I got caught in traffic, which just meant more fitness for the team. Ross: Definitely my brother Nick, he’s such a clown. Ross: not come up with anything near to the best dance moves. One thing you simply couldn’t live without? When going on tour, what’s the first thing you pack? Who would win an all-night FIFA session? Grant: Without any doubt, me! Between the 2 of you, who is the messiest room-mate on tour? Ross: haha, that would be Grant, I have proof! You two are so hysterical. Thank you both for a really amusing interview! Thank you guys for taking the time to do the interview and good luck to you both for the Junior World Cup, exams, the next FIFA battle and keeping your roommate in check! You can follow Grant here and Ross here. The Tighthead – What role does a coach play in the professional era?